In February 2017, photographer, Yiannis Roussakis will open his new exhibition at EMAG in Abu Dhabi. ‘Songs for Everyone’ is a progression of the exciting and introspective socially-aware themes that is the hallmark of all work by Yiannis. Here, he explains the concept behind his latest theme. Humans. We are not so complicated and unique as we think we are. Most of our actions are defined in an unconscious level by the fact that we know we are going to die. That death scenario makes us a bit nervous. We invent all kinds of desperate ways to avoid thinking about the pink elephant in the room: how little we are able to understand life and why we are here. We make a lot of noise and posturing during our lifetimes, to muffle our existential screaming. We build big things, create crusades and causes, form beliefs and convictions. We create a paper thin illusion of concrete reality which has rules and parameters that can be measured. This makes us feel safe and in control. Most of all we love feeling superior to others one way or another. How else will you prove that your life is worth something if not by comparison? We play power games to impose our reality to others, in order to reinforce our version of “normal” and make it impenetrable. Now, some of us will enjoy developing a compulsive disorder trying to preserve this perfect picture, others will indulge in making everything explode at a certain point, because self destruction is sweet. In extreme cases, certain members of our human tribe would do anything to leave a lasting impression, even if this “anything” is utterly catastrophic. I mean, smashing a bee hive hanging above a birthday picnic with a baseball bat, is a sure way that the other guests will never forget you. Human noise production in a large scale, can lead to a wide variety of social effects, including overmedicated housewives, killing all other species, daytime tv, forbidding mini skirts for decades and ethnic cleansing. Truly remarkable. There’s nothing new to all this. The struggle to cope with our human condition has been the subject of great art for thousands of years. Ancient Greeks sitting in big marble amphitheaters, were watching archetypal, larger-than life characters on stage arrogantly building castles in the sand that would crumble in a spectacular way by the end of the play. The spectators were deliberately put in a position to know in advance what King Agamemnon would brutally find out too late: we cannot outsmart life. This is a game that we cannot win. So, there you have it. Our own unique, special, dramatic tale of the unavoidable fate as a species. An ironic destiny that binds us all together in our cosmic adventure to the Great Unknown. A Ship of brave Fools. Let’s all enjoy the ride, try to be kinder to one another and not take ourselves too seriously. The more I travel around the world, the more people I meet and talk to, the more I get the strange feeling that the faces seem more and more familiar, as if I met everybody already before. This feeling gives me comfort, that is why I keep traveling, meet people and take photos. Sharing our stories makes our life journey less lonely. After getting over all the personal or collective hallucinations of our dysfunctional egos, all we have left is each other. Young monks of the Drukpa lineage of tibetan buddhism go to the main temple for the morning ceremony (puja). 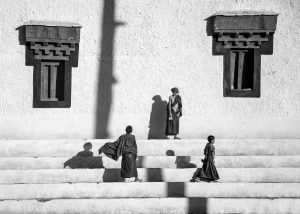 Image taken at Hemis Monastery in Ladakh, India (August 2016). 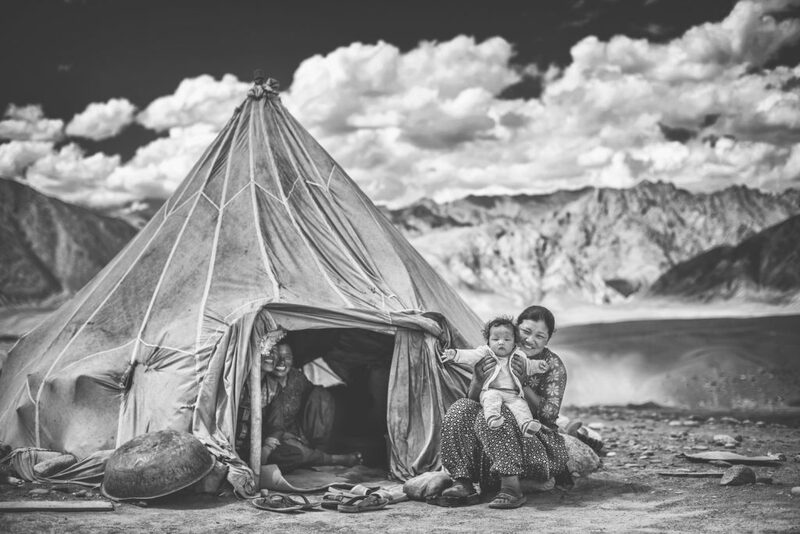 The Changpa of Ladakh are a semi nomadic tribe. They are high altitude pastoralists, raising mainly yaks and goats. 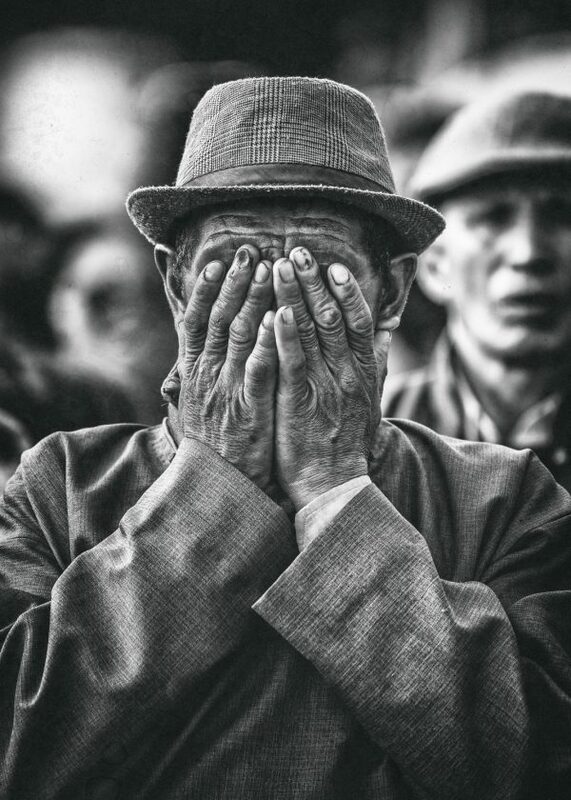 They speak Changskhat, a dialect of Tibetan, and practice Tibetan Buddhism. The photo was shot in Ladakh at an altitude of about 5000 meters, close to the Tanglang-La mountain pass to Manali, during a community religious ceremony.